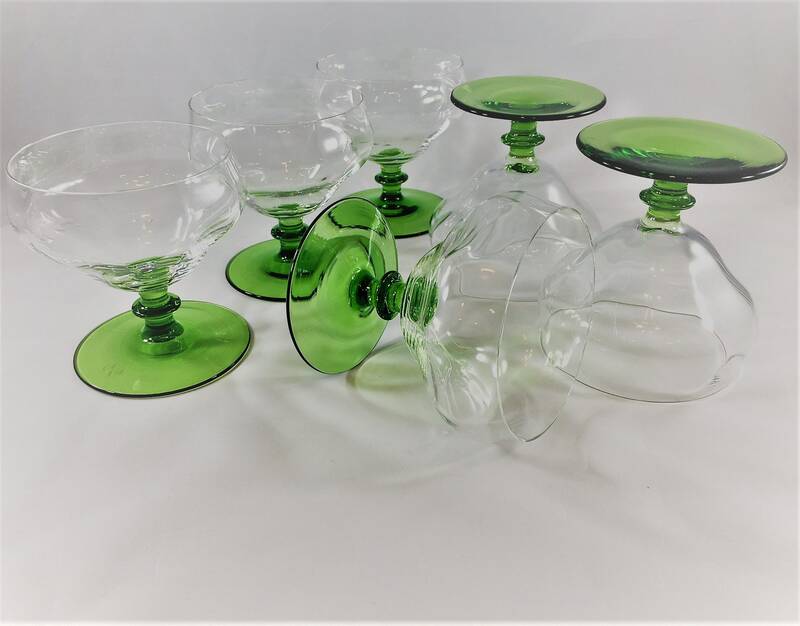 Featured is a wonderful set of 6 vintage glasses with green bases. These pieces are about 3 3/4 inches tall and 3 1/4 inches in diameter at the rim. 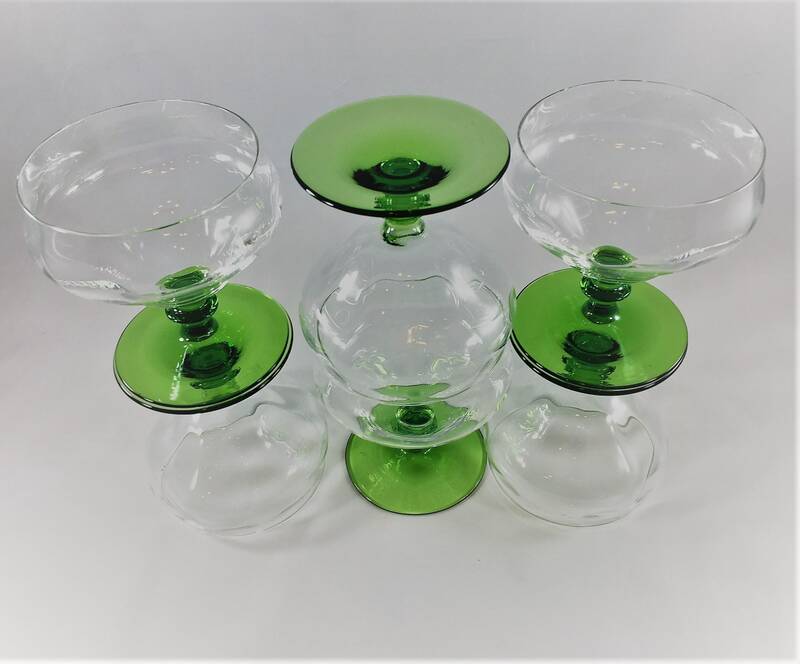 The round base is about 2 3/4 inches in diameter and made from uranium glass so it glows under UV light. 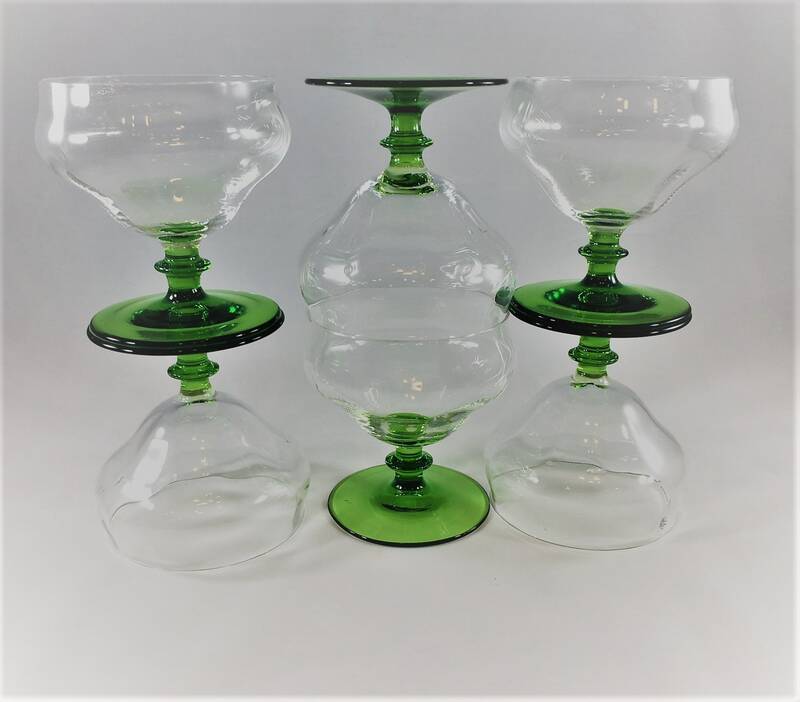 These would be great additions to your vintage barware collection. 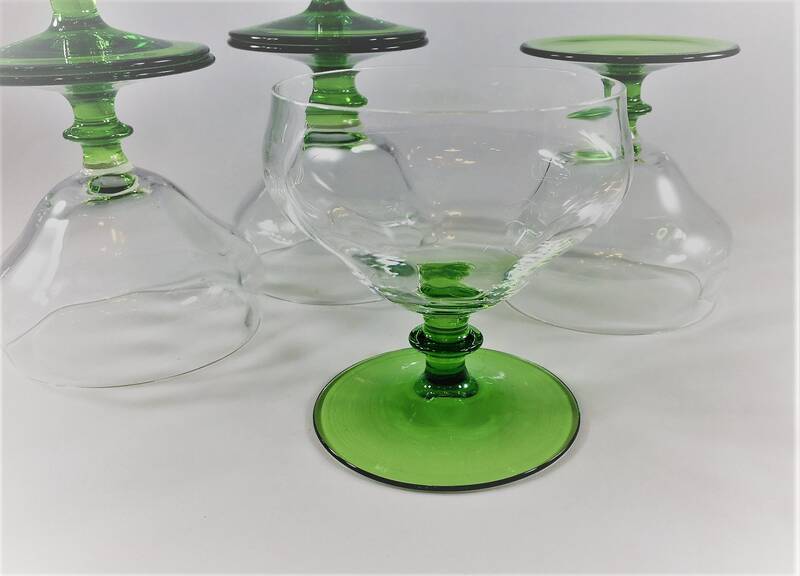 They're the perfect size for champagne or cocktails. 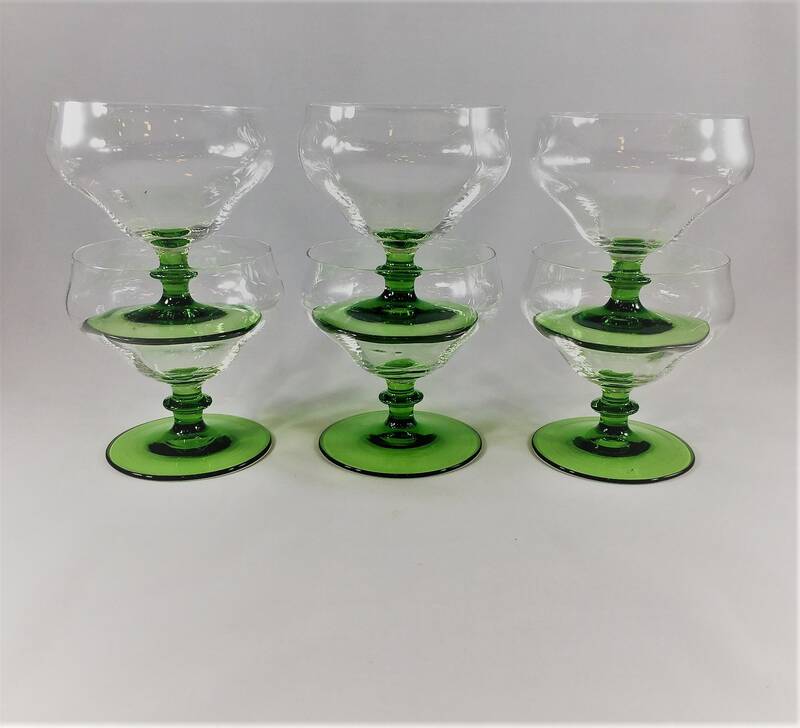 All six glasses are in excellent vintage condition, free from any chips or cracks. All 6 pieces for one low price.